Home / Opinion / Will GST boost revenue and benefit consumers? That a sound fiscal system should not tax the production of intermediate goods which was the basic logic behind all the value-added taxes such as the Goods and Services Tax (GST) the country had ushered with much fanfare on the midnight of 1 July 2017 is now passé. After the initial hiccups GST is touted as now settling to provide the comfort blanket for producers of goods and services as also consumers, after having been blamed for the economy’s slowdown along with demonetization. 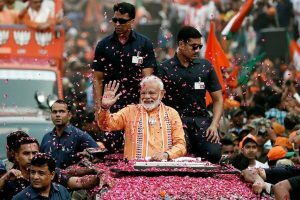 But after this hiatus of two years of laggard growth, the economy is also perking up to post a positive 7.3 to 7.5 per cent growth in the final year of the NDA government. Thanks to the pragmatic changes made by the GST Council through these months including the last one on January 9 that included raising the turnover limit for eligibility to enter the composition scheme to Rs 1.5 crore from the 2019-20 fiscal, easing of compliance for traders opting for the composition scheme and doubling the threshold for exemption from registration and payment of GST to Rs 40 lakh. Retrospectively, the one at the year-end GST Council meeting was the welcome rationalisation of the rate structure of GST by which close to 97.5 per cent of the 1,211 commodities currently under the GST net now come under the slab of 18 per cent and below among the five broad categories of zero, 5, 12, 18 and 28 per cent. It is small wonder the feisty Finance Minister Arun Jaitley through his Facebook post could confidently claim that he would see the standard rate converging to around 15 per cent—the midpoint of the extant standard rates of 12 to 18 per cent. If this happens, it would help cooperative federalism particularly when States that have greater need for resources afford this abnegation in the larger interests of consumer welfare and enlarging tax receipts. It needs to be recalled that the 13th Finance Commission chaired by former Finance Secretary Vijay Kelkar originally proposed a single rate of 12 per cent. The former Chief Economic Advisor Arvind Subramanian had also plumped for a revenue-neutral rate between 15 and 16 per cent which the former Finance Minister Palinappan Chidambaram backed to the hilt. Prior to the advent of GST, most goods were charged a 12.4 per cent excise duty and a 14.5 per cent State value-added tax (VAT). Coupled with the cess on inter-state transfers and the cascading effect of tax on tax, this had led to an extortionate rate of 31 per cent for many items of common consumption, leave aside luxury or sin goods. The rates of seven items that were slashed at the latest Council meeting from the peak 28 to 18 per cent include certain vehicle parts used in agriculture, monitors and TVs upto 32 inches, retreaded tyres, power banks, digital cameras, videogame consoles and parts and accessories of the carriages for disabled persons from 28 to 5 per cent. For the benefit of the multimillion- rupee entertainment industry and ordinary cine-goers, the GST rate on cinema tickets above Rs 100 was cut from 28 to 18 per cent and on tickets up to Rs 100 from 18 to 12 per cent. For the record, rate cuts for construction material like cement and automobiles in the 28 per cent slab were discussed but given the high revenue implications members resolved to defer these for the time being. Now in all only 28 items are left in the highest 28 per cent slab. This was the fifth round of rate rationalisation since the GST rollout and came just after Prime Minister Narendra Modi hinted at a public event a few days ahead of the GST Council meeting that his government sought to ensure 99 per cent of items were taxed at 18 per cent or below. A few political parties ruling in States had not taken this peremptory announcement by the Prime Minister sans discussion in the GST Council well. But considering the tangible blow he suffered to his impregnable image in the five State Assembly polls, Mr. Mody’s predicament is understandable. 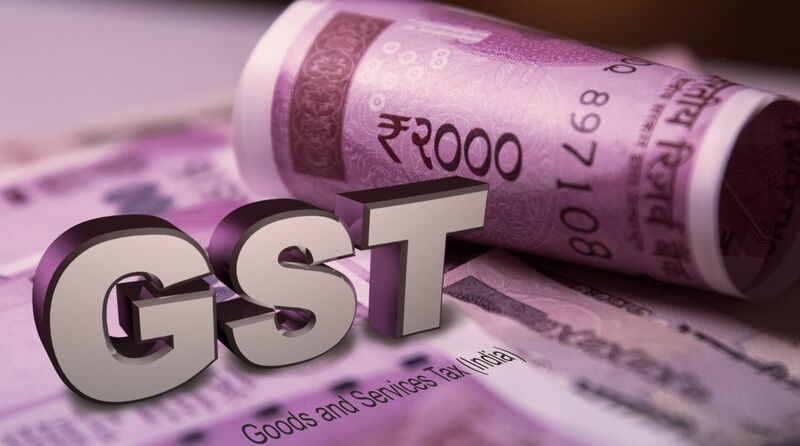 To be fair to the Centre with the successive rounds of rate cuts generating concern among the States that their share of the pie would be reduced particularly when there is shortfall in revenue yields in recent months, the GST Council discussed the issue. It endorsed the formation of a seven-member Committee of a Group of Ministers to study the revenue trend covering the structural patterns hitting the revenue collections in some States. Experts from technical bodies such as the National Institute of Public Finance and Policy and from the Centre and States would assist the GoM. The GST Council has decided to create a Centralized Advance Ruling Authority to surmount the piquant situation where conflicting decisions by two or more State Appellate Advance Ruling Authorities create confusion in interpretation. Industry welcomes this as it would help clear ambiguity and assuage concerns of taxpayers operating pan-India in cases of different rulings in different States. Other noteworthy decisions initiated at the Council meeting cover creation of a common ledger for all tax and allied payments, process simplification for exporters and importers and extension of the due date for filing of annual returns and extension of timelines for claiming input credit. The GST Council must be alert and awake to the follow-up action so that traders and service-providers pass on the duty cut to consumers. No doubt, the anti-profiteering law requires businesses to pass on the benefit of tax cuts as well as tax rebates to consumers. But it is not a perfect law as businesses always have the guile to make surreptitious price adjustments in a free market. It is time that the unjust enrichment of the mercantile class does not go unpunished and the errant ones are taken to task by rigorous implementation of the laws, even as the intent is implicitly embedded in the letter and spirit of the GST anti-profiteering watchdog, the National Anti-Profiteering Authority (NAPA) to punish the guilty and provide relief to consumers. The stakes are high not only for the consumers as common beneficiaries of reduced tax rates but also for the authorities who bank upon larger receipts through enhanced and buoyant consumption of the populace.